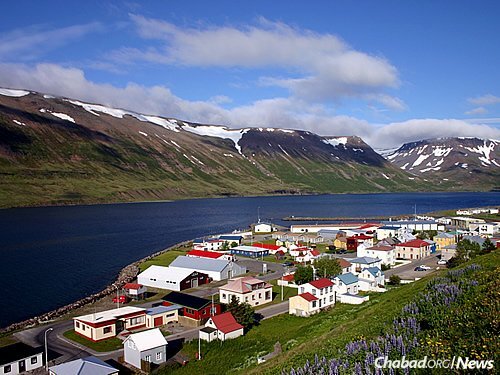 The Jewish community in Iceland is unique in the fact that it almost doesn’t exist. With no synagogue, no community center and no official leadership, the Jews of the “Land of Fire and Ice” have had to work extra hard just to bring their scattered brethren together for infrequent meetings timed loosely around Jewish holidays. 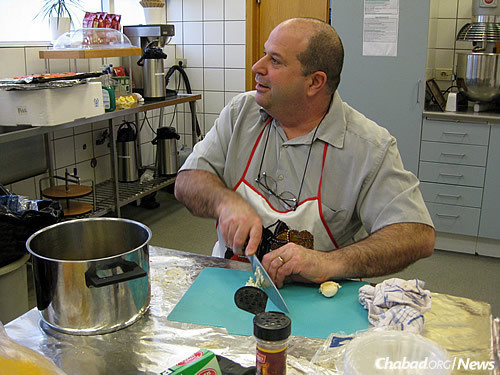 In 2011, Rabbi Berel Pewzner—now a Chabad-Lubavitch emissary to the Cayman Islands in the western Caribbean—came to conduct a Passover seder in the Nordic island nation and struck up connections with the locals. 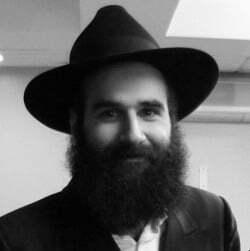 For the past four years, the rabbi’s younger brother, Rabbi Naftoli Pewzner, has been serving as the community’s personal “Roving Rabbi,” visiting the country for major holidays, and maintaining ongoing email and phone contact with those he meets. Last year, Pewzner made sure to distribute round, handmade shmurah matzah to every known Jewish person on the island. In the end, he shared matzah with 105 individuals, including a group of six Israeli tourists who were trapped by an avalanche in the northern part of the country. 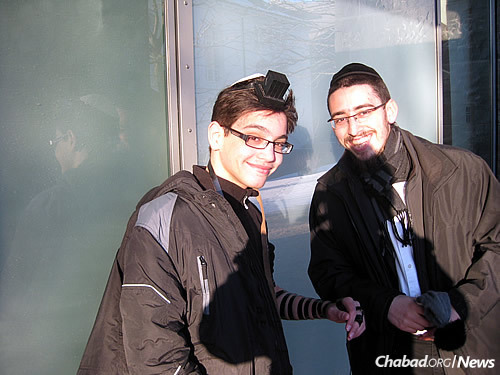 For many of Iceland’s Jews, the presence of rabbinical students brings a welcome opportunity to put on tefillin. 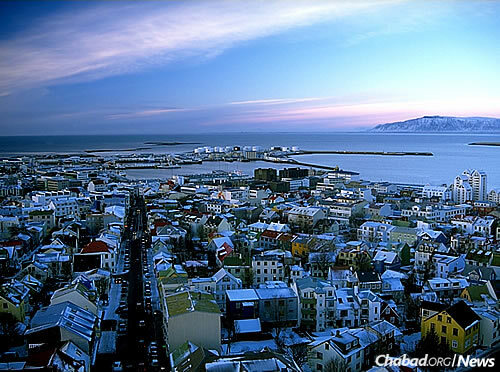 Reflecting on the many positive changes he has seen among the tiny Icelandic Jewish population, he compared them to the very terrain that makes Iceland famous. American-born Mike Levin pitches in in the kitchen. 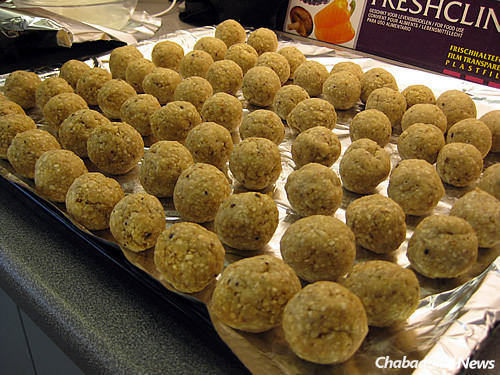 Matzah balls make the menu; the young rabbis come to the country with 300 pounds of kosher-for-Passover supplies. This year, Pewzner will be conducting the seder for 50 people—mostly local residents with a sprinkling of Jewish tourists—together with 23-year-old Rabbi Yosef Wolf of Melbourne, Australia. They came to the country with 300 pounds of kosher supplies, and will be preparing for the seder with the help of an Israeli-born chef who has offered his services free of charge. For Sulem, whose family traces its roots to Algeria, the Passover seder has been an opportunity to experience the customs and cuisine of Ashkenazi Jewry, exposing him to gefilte fish and a Hebrew pronunciation very different from his childhood traditions. Yet the round matzah are the same as the kind his family used to get from their local Chabad emissaries in France when he was a child. Since almost none of the attendees are Icelandic natives (“there were no Jewish Vikings,” notes Pewzner), the seders are conducted in English, and much of the chanting done in Hebrew. 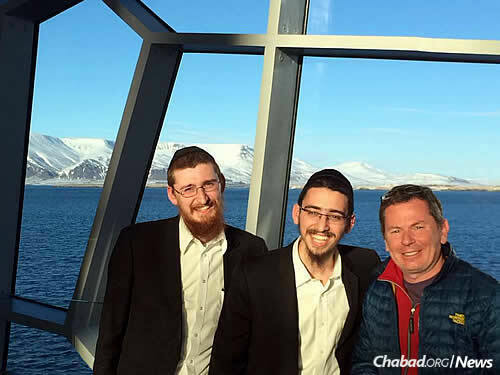 Rabbi Naftoli Pewzner, left, and Rabbi Dovber Paltiel enjoy the company of those in Iceland and the pristine waterways for which the country is famous. For Oren Raz, a 22-year-old Israeli, who has been living in Iceland for more than two years, the seder will be a welcome opportunity to meet fellow members of the tribe. 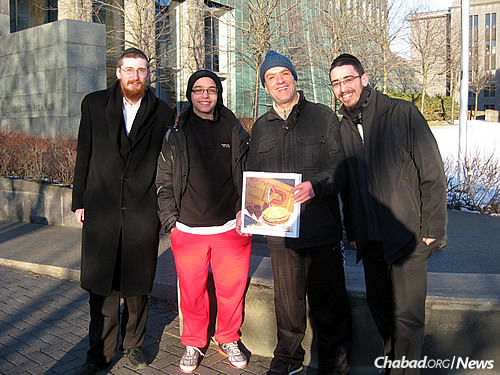 Last year, the rabbis were able to personally deliver or send handmade shmurah matzah to every known Jewish person in Iceland.